Sweetwater Farm and Grace Winery are one of my favorite wedding venues of all time. I had never visited Sweetwater Farm and Grace Winery before looking at venues for my own wedding in 2013. I had heard of this venue before, who hasn't? Sweetwater Farm and Grace Winery are always at the top of any "must see venues" list in Glen Mills. I was blown away by the space as soon as I saw it! Sweetwater Farm Bed and Breakfast, as it was known for years, is now the Inn at Grace Winery. It's located in picturesque Glen Mills, Pennsylvania. 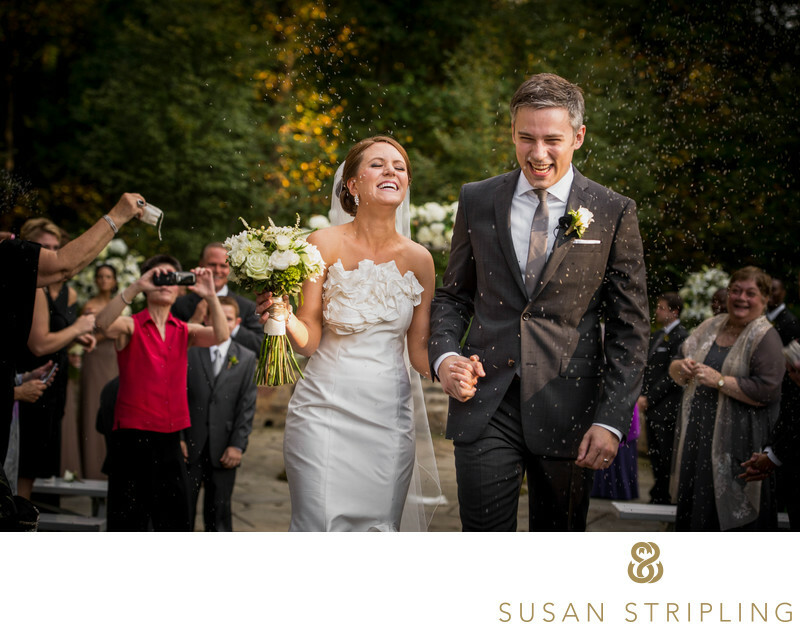 It is a historic wedding venue, situated on fifty acres in the luscious Brandywine Valley. The beautiful inn has many rooms inside, and many cottages separate from the main house. 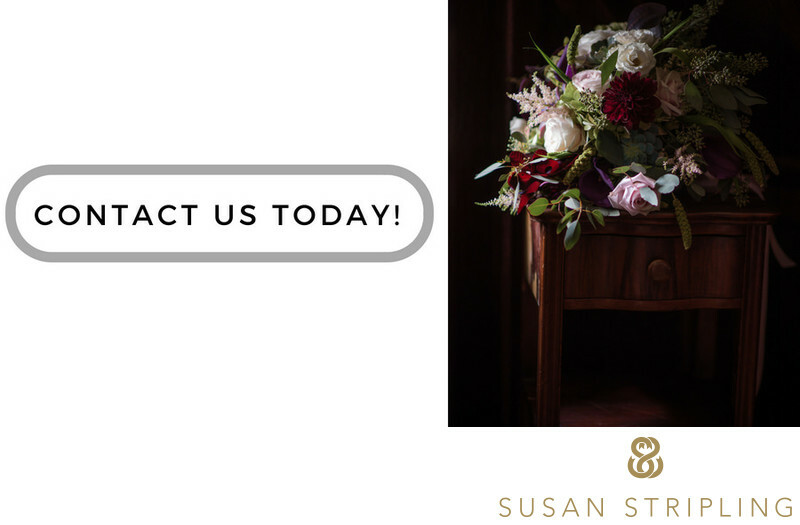 It's wonderful to be able to house your bridal party and family on location the night before, and the night of your wedding! Wedding clients at Sweetwater Farm and Grace Winery love that they can stay on site. It makes everything so much easier on the day of the wedding - and it's a gorgeous place to stay! Imagine waking up with the sun breaking over the fifty acre property, sipping coffee on your cottage porch, and preparing for your wedding. That's how the day starts when you get married at Sweetwater Farm and Grace Winery! 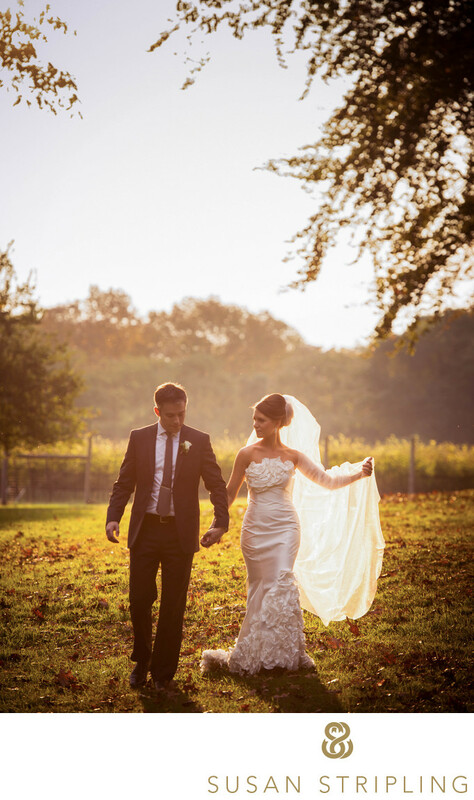 If you're looking to have a wedding in the Brandywine Valley area for under a hundred and fifty people, Sweetwater Farm and Grace Winery might be the perfect place for you. You can stay in the gorgeous Inn at Grace Winery. You can take your wedding pictures on the rolling lawns of the property. You can say "I do" outside, and move inside the Bank Barn for your wedding reception. It's not often that you find a venue so incredible versatile. Many Pennsylvania wedding venues have great outdoor space, but lack good indoor space. Many Brandywine Valley wedding venues have a great place to hold a reception, but a not-so-stellar location for the ceremonies. Some venues might be great for a party, but not so great as a location for your wedding day pictures. Sweetwater Farm and Grace Winery will erase any of those worries. They are gorgeous indoor locations for getting-ready on your wedding day. There are amazing outdoor areas to take a variety of different wedding portraits. You can take your family pictures with the gorgeous red barn in the background. Imagine walking across a sun-drenched field with your bridal party. Imagine the sun setting over the idyllic property while you take photographs with your new spouse. All of these things are possible when you get married at Sweetwater Farm and Grace Winery! Sweetwater Farm and Grace Winery is exceedingly popular with their wedding clients as well as wedding day vendors. On the popular wedding review site Wedding Wire, Sweetwater Farm and Grace Winery have a spectacularly unanimous five-star review. Clients praise Sweetwater Farm and Grace Winery for their extraordinary customer service. Clients mention how fantastic the customer service is from the innkeeper, specifically. Brides and grooms who have been married at Sweetwater Farm and Grace Winery talk about how much they love their wedding photographs from this incredible location. Reviews discuss how extraordinary the catering is, how wonderful the service, and how impressed they are with the entire staff at the winery. Sometimes all of the planning, all of the preparation, and all of the elements that go into making a wedding day culminate in a perfect moment. One where all of the emotion, lighting, composition, and even the color scheme comes together flawlessly. I love every single thing about this sparkler exit shot, taken in 2013 at a sweet Sweetwater Farm wedding. The backdrop of Grace Winery is absolutely perfect for the moment. 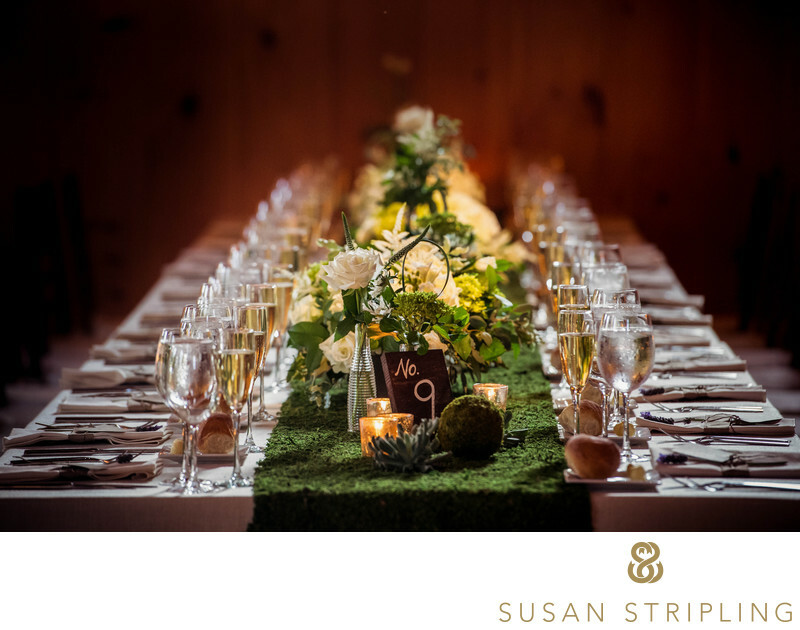 It’s such a rustic, cozy Glen Mills venue, and it makes a charming setting for the scene. I love that the bride and groom had the forethought to buy the long sparklers - the short ones burn out so early! Since they got the longer sparklers they burned for more time, giving the bride and groom ample time to leisurely walk through their guests. 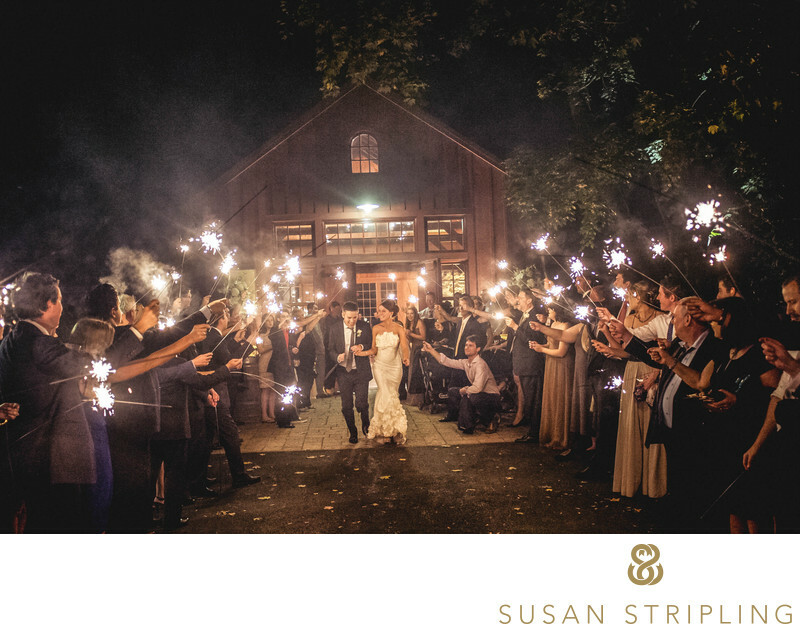 I love the warmth of the sparklers against the wood of the barn, and I love the smoky aura of the whole scene. All of the lovely trappings, pretty light, and idyllic scenes are meaningless without an emotional connection between your subjects, and this bride and groom have that and more! I love the expressions on the faces of the couple as well as the natural easy of their body movements. This was my first sparkler exit at Sweetwater Farm and I hope it won’t be the last! I know that many brides and grooms who get married in Pennsylvania want to exit their wedding reception through a long line of their family and friends holding sparklers. I think that sparkler exits are a wonderful way to end a wedding reception! Did you know that sparkler exits are not legal in all states? Many states consider sparklers to be fireworks. Fireworks are not legal in all states. If you are unsure as to whether sparklers would be legal at your Pennsylvania wedding, simply ask your wedding venue. If you have a wedding coordinator, he or she would also be a valuable resource when trying to answer this question. You can often find the answer on Google, but make sure that you check the date of your source. Since laws about fireworks change from year to year, you want to make sure that you are reading the most up-to-date information for your city and state. I know that the legality of a sparkler exit at your wedding is probably not something that you have considered! I never thought about it until I became a wedding photographer myself. I think that it is important to know whether or not fireworks are legal in your state, as you certainly don't want to end your wedding night by getting in trouble! Location: 50 Sweetwater Rd, Glen Mills, PA 19342. Keywords: Glen Mills (15), Grace Winery (15), Sweetwater Farm (15). 1/125; f/2.8; ISO 8000; 28.0 mm.